We are delighted to let you know the names of the volunteers that have been nominated for MK Volunteers Awards. As you can see the ‘Longevity’ category has been very popular! Click here to find out more about the awards and the different categories. Please join us at our AGM on 5th October which will feature the MK Volunteer Awards Ceremony, during which winners will be announced. Click here to book your place. We would like to thank all of the organisations and individuals who took time to nominate volunteers. Congratulations to all of the nominated volunteers – we loved finding out about the amazing things that you do in Milton Keynes! Good luck and we hope to see you all on 5th October! — Comments Off on Walking Bus in Conniburrow needs volunteers! Walking Bus in Conniburrow needs volunteers! The Walking Bus project in Conniburrow is looking for volunteers. Would you like a volunteering role through which you can help promote road safety and physical activity among the local community in Conniburrow? If so, you can now volunteer with Walking Bus, an innovative project in Conniburrow that runs a walking school bus, helping local children to get to school (by walking!). A walking bus is a fun, healthy, safe and sustainable way of travelling to school. Powered by legwork, the children and volunteers walk in a group along a set route, picking up or dropping off ‘passengers’ at specific ‘bus stops’ on their journey to and from school. For more information about the opportunity to volunteer with this fun project, e-mail: Cccwalkingbus@gmail. You can also visit the project’s Facebook page by clicking here. Have you ever thought about helping out with the local youth service? The Milton Keynes Youth Service provide support for young people primarily aged 13-19 in Milton Keynes ensuring they have the information, space and guidance to lead safe and healthy lives. They are looking for volunteers to get involved in a variety of different ways. This could be your chance to share your skills with young people in your community. Visit do-it.org or the link above and register your interest there. Visit our regular drop in, every Thursday, 10-12am, Acorn House Reception, Midsummer Boulevard, MK9 3HP. Would you like to gain a City & Guilds Level 1 certificate in Volunteering? Boost your CV, feel more confident, or get some experience at children’s centres… whatever your motive join us for this course FREE. We are pleased to share that together with Moorlands Centre we will be delivering an 8 week course in Volunteering. The course will cover a variety of skills needed to take on volunteering and perhaps also employment. — Comments Off on What do you value about your Libraries, Children’s Centres and Youth Services? What do you value about your Libraries, Children’s Centres and Youth Services? Community Action: MK (CA:MK) have been commissioned to work on a pilot project that will influence the Community and Cultural Services Review (CCSR) at Milton Keynes Council (MKC). MKC want to understand ways in which Libraries, Children’s Centres and Youth Services can be updated to reflect it’s new co-operative council approach whilst best serving local communities. The aim of the project is to develop an insight to the kind of collaborative delivery promoted by the Co-operative Council concept. We will do this by increasing voluntary activity in Library, Children’s Centres and Youth Services; supporting residents to explore their own priorities relating to those services; and facilitate the generation of ideas around community-led activity and co-production. This pilot project will run until March 2016, when CA:MK will deliver recommendations to the MKC Project Board. CA:MK will represent the community’s voice about these services, we will highlight the impact of this enhanced volunteering support programme and explore further opportunities for successful service delivery into the future. To get involved and have your say contact our Project Lead, Rebecca, on rebecca@communityactionmk.org. If you’d like to volunteer with these services you’ll find formal volunteering roles being updated during the project at www.do-it.org. 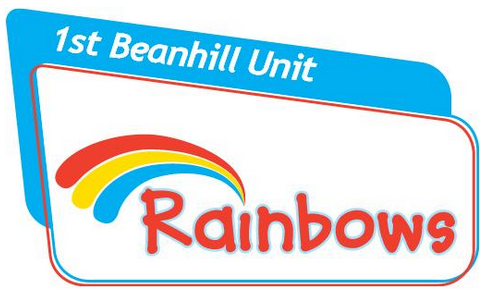 Volunteer Leader needed for Rainbows Unit in Beanhill. Rainbows is the Girlguiding section for girls aged 5 to 7. The unit has been running successfully since 2014 and meet every Monday 16:30-17:30 during school term, at Moorlands Community & Children’s Centre on Beanhill. Rainbows is about developing self-confidence, building friendships, learning new things by doing and having fun. The unit is looking for new Volunteers to join the team in September at the start of the autumn term. No previous experience is required as full training is provided. Basic computer skills are essential and good communication, organisational and creative skills are a bonus. By volunteering for the group, you will not only gain valuable experience of community work, you will also get a chance to obtain a Girlguiding Leadership Qualification, which will enable you to develop skills on the job and through formal and informal training sessions. Volunteer leaders run all aspects of the unit, devising and preparing activities and games. Organising and overseeing meetings and adventures. Effectively communicating with members, parents and the leadership team, updating the units Facebook Page, Fundraising and generally ensuring the unit runs smoothly. Being a Rainbow leader is tremendously rewarding and you make an enormous difference to the lives of the girls and the surrounding community. “a space where they can be themselves, have fun, build brilliant friendships, gain valuable life skills and make a positive difference to their lives and their communities”. You can find out more about Rainbows and Girlguiding UK here. If this sounds like a great role for you and you would like to be part of this much-needed and rewarding local initiative, get in touch today! For more details, contact Kay Wales at: beanhillrainbows@outlook.com or register to volunteer directly on the website here.